Newtec is to sign a major Memorandum of Agreement (MOU) with Arabsat next Sunday, October 25th, in the Chamber of Commerce in Riyadh, Saudi Arabia, where the event will be witnessed by HRH Prince Philippe of Belgium as part of his Royal visit to the Kingdom. The MOU with Arabsat will lead to the two companies increasing their co-operation and partnership by jointly developing new markets and technologies in order to promote, sell, and implement the latest satellite-based solutions to customers throughout the Middle East. 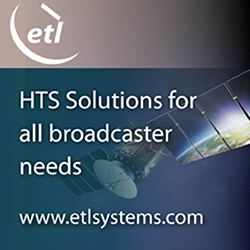 The co-operation will focus primarily on DTH TV, TV contribution and distribution, IP connectivity over satellite, and occasional TV and radio exchange. Arabsat and ASBU will also sign a purchase agreement with Newtec for the implementation of a MENOS network extension. This extension will allow the satellite migration of the existing service on Arabsat BADR4 satellite towards the new Arabsat 5A satellite that will be launched early 2010. The MOU and MENOS purchase agreement allowing the network extension are just the latest successes for Newtec in the region. During Sunday’s signing ceremony, Newtec will also present the award it won last month at the IBC Show in Amsterdam — the top outside broadcasting award— to Arabsat and the Arab States Broadcasting Union (ASBU). The award was given for MENOS (Multimedia Exchange Network over Satellite), Newtec’s revolutionary networking concept used to exchange multimedia content over satellite, allowing broadcasters to share video and audio material among scattered sites in a fully automated and cost efficient way.